polling fans opinions on the Jets. the Stitcher app and look us up, or subscribe and rate us on iTunes! #JNAirMail: Why Do You Guys Want To Trade Laine?! Puck over the glass aught to be replayable. The calls against the Wings on Bertuzzi not touching Chara and a non-existent hold, didn’t bug me as much because their 3 kid D didn’t improve much this year and Quincey and Kindl are getting worse…Det and SJ could’ve used Pavelec maybe; can’t believe they pulled Niemi. The weak reffing maybe because players are getting bigger? Need to use that replay somehow. Looking forward to the World Championships. Boston is boring because they are too good defensively. With Det’s porous D, it was a good series. Boston couldn’t finish their chances. The don’t have the puck skills to compete without the gimme penalties against a team with good D. Chicago or LA would take them easily unless Rask is a top two goalie. Agreed. 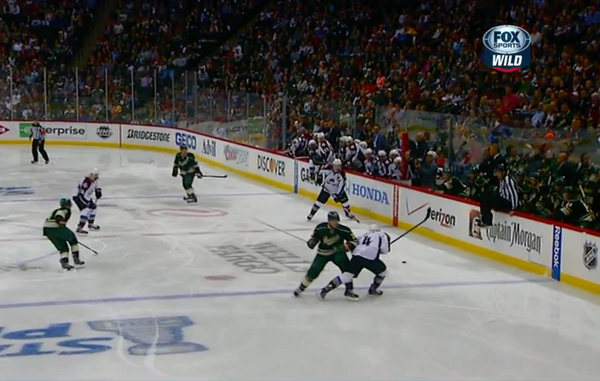 The NHL needs to look into some form of video replay expansion. Even if it’s simply reviewing scoring plays, something needs to be done.